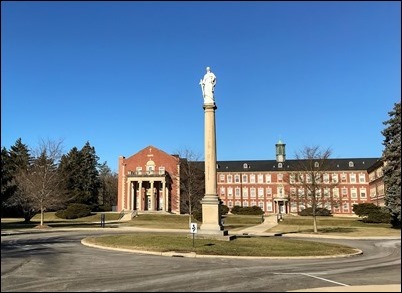 As many of you may know, for much of this past week I was on retreat with the bishops of the United States at Mundelein Seminary in the Archdiocese of Chicago. 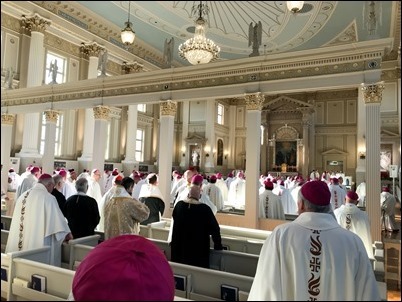 There were about 250 bishops in attendance with us, which is about the number that would normally attend our plenary session in November. 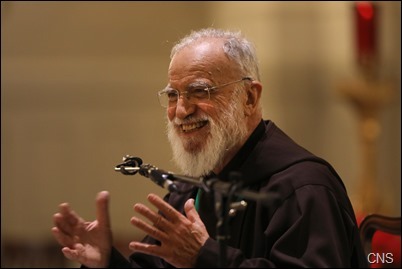 Father Cantalamessa recently celebrated his 60th anniversary of ordination and has been the Apostolic Preacher since 1980. He is the latest in a long line of Capuchin friars to hold that position. 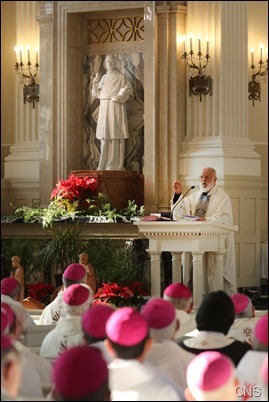 In addition to preaching the Lenten, Advent and other retreats for the Vatican, he has been a prolific writer, speaker and retreat master all over the world. I’m often amused that, particularly when I am in Italy or Latin America, people will come up and ask to have their picture taken with me because they think I am Father Cantalamessa. 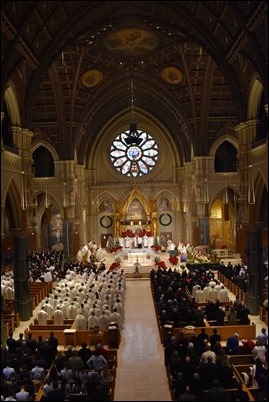 He gave two conferences, each about an hour long, and then a homily each morning. He spoke a great deal about the Holy Spirit. His spirituality as a Capuchin friar is very much formed by his studies of the Fathers of the Church and his participation in the Charismatic Movement. The bishops truly enjoyed his preaching and his presence. 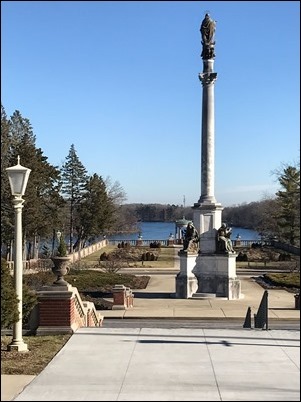 Mundelein Seminary was a very scenic and peaceful venue for our retreat. 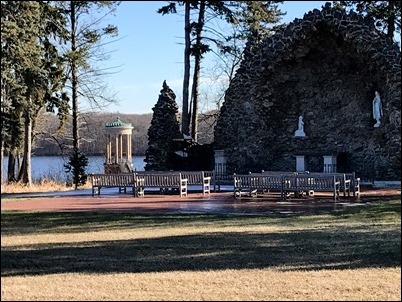 It was established by Cardinal Mundelein in the early 1900s on about 600 acres on St. Mary’s Lake. 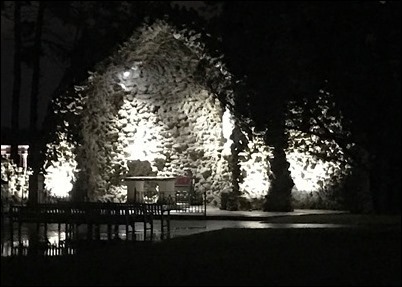 It’s a splendid campus with many fine buildings and monuments, as well as a beautiful grotto of Our Lady of Lourdes that is illuminated at night. The hospitality of Cardinal Cupich and the people at Mundelein was extraordinary. We were all made to feel very much at home and we were also blessed with very good weather. Of course, the first week of January can be very brutal in Chicago. In fact, one year ago at this very time, I was supposed to have accompanied young adults from the Boston area to the FOCUS conference held in Chicago. But, because of snow, the airport was closed for three days and I was never able to go. 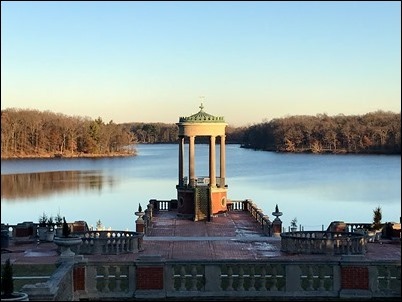 So, it was almost miraculous that we had weather in the 40s most of the time we were there, which made it much easier to appreciate the beautiful setting. I think the bishops had a very good experience, and many of us were commenting that we should hold similar retreats in the future. Of course, we have our regional retreats for bishops, which are also great events, but to bring all the bishops together was very special. 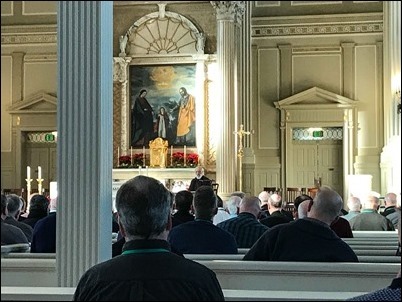 Because of my attendance at the bishops’ retreat, I was unable to be present for the funeral of Father Paul Keyes that was held was at St. Michael Church in North Andover on Wednesday. Though I was unable to be there for his funeral, I was happy to have been able to visit him during Christmastime and we offered Mass for him after his death. Father Paul was a great pastor and did extraordinary work at St. Michael’s, where he was much beloved by the whole community. This was certainly evidenced by the great care his parishioners took of him during his long convalescence. Beyond the parish, Father Paul was also greatly admired for his book, “Pastoral Presence and the Diocesan Priest,” which he wrote after many years at the seminary. It was very much appreciated, particularly by the clergy of Boston. I was very pleased to hear that so many people were able to gather for his funeral. I understand there were about a thousand people there. He was much appreciated and he will be very fondly remembered. 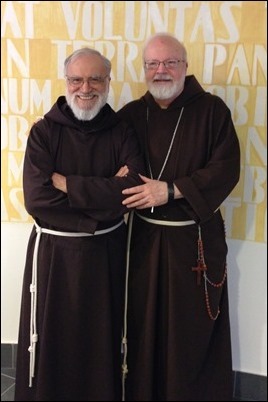 Many years ago, Cardinal Medeiros invited Father Pio and Father Bernadino, two Capuchins of the Torino province who had ministered in Cape Verde for many years, to serve in the archdiocese. 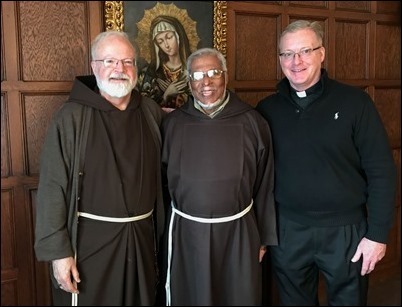 For many years, the Cape Verdean province of Capuchins supplied us with friars to work with the Cape Verdean population here in Boston. Then, for a time, they were unable to send anyone, but now they are sending friars again. We have two friars now, and our hope is a third will come soon. Finally, yesterday, I went to the Cathedral of Sts. 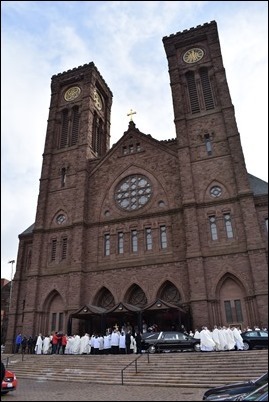 Peter and Paul in Providence to attend the funeral Mass of Bishop Robert Mulvee. I had known Bishop Mulvee for over 30 years and, of course, for 10 years I was his neighbor as Bishop of Fall River and would see him very frequently. He was always a most gracious and kind person. 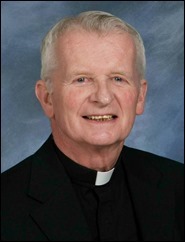 Bishop Mulvee was a native of Holy Name Parish in West Roxbury. 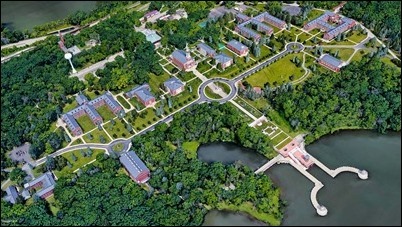 However, at the time he entered the seminary, Boston had so many vocations that Cardinal Cushing sent him to the Diocese of Manchester, New Hampshire. He was ordained for Manchester and went on to serve in Wilmington, Delaware before becoming Bishop of Providence. Bishop Tobin celebrated the Mass and Bishop John Barres, whom Bishop Mulvee had ordained a priest, preached. In his homily, Bishop Barres quoted one of Bishop Mulvee’s nieces who said that her uncle had the gift of making people feel that they were important. That is so true, but is because he truly believed people to be important. He had a great priestly heart and made quite an impact wherever he ministered. We were blessed that he was able to join the bishops of New England for our annual retreat at the Franciscan Retreat House in Kennebunkport last August. That was the last time I saw him. 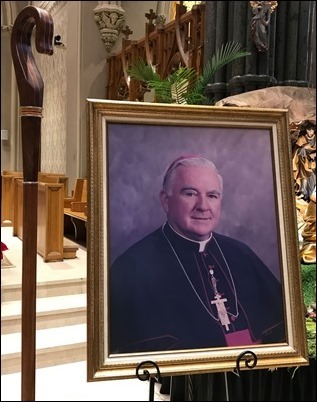 The program for the funeral had his motto, “As One Who Serves.” Bishop Mulvee was certainly a servant of the Lord and his people, and he will be sorely missed.